Pablo has been working in the video game industry for a decade, starting off as a Junior Environment Artist back in Spain. 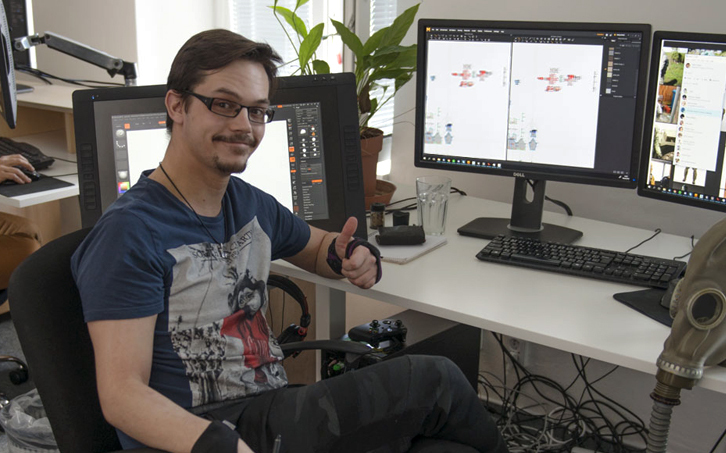 Since then, he’s worked for numerous companies in the UK and the Czech Republic – including 2K Czech – where he worked on the development of Mafia III as a Character Artist. 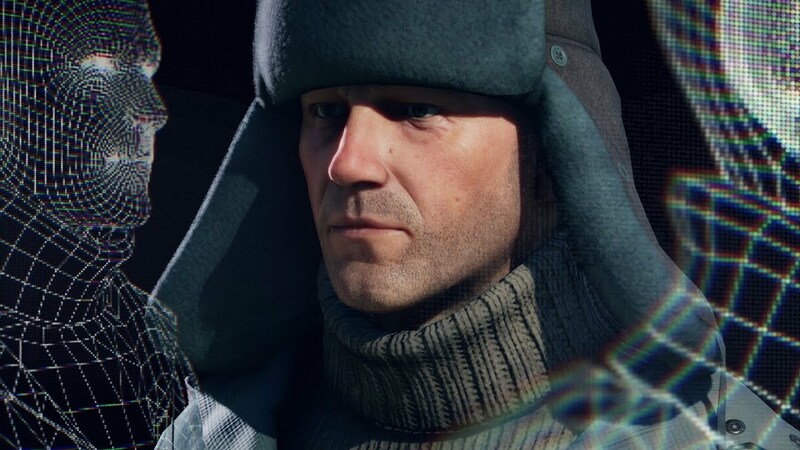 He currently leads the character team for Vigor at Bohemia Interactive. I like exercise, in theory. The very first game I played was called Gorilla on MS-DOS. It was an extremely simple game where 2 giant monkeys threw explosive bananas at each other mortar-style. As simple as it was, it already caught my attention as a very small child at the time, and it has been a wild ride of discovery ever since then. Too many to choose from! Probably the ending to Portal 2? Or the bloody baron quest in Witcher 3... too many! Seriously, I think I would find it impossible to even give a top 10. Of all of the incredible video games made throughout the history of gaming, which one stands proudly as your favorite of all time? Deus Ex, the first one. Some recent games have evolved and improved over its formula, but this game stands as something which was ahead of its time for me, and introduced me to my favorite genre of games, the so-called immersive sims. So, what are the main tasks of a Lead Character Artist? There are quite a bunch of them, actually. Usually you help to create estimations and assess how – and who – is going to take care of the different tasks involved in the creation of a character. Another big responsibility is to provide feedback to the artists to help them to ensure that the general style and quality fits the project's technical needs as well as the Art Director's vision. You have to also create key art assets to set the general look and work standards. @BuloeeFox said they would like a more in-depth character creation instead of generic preset characters. What sort of customization can we expect from future updates? You can certainly expect a wider variety of clothing and accessories coming up in future updates, we are currently working on them at this very moment. The current vision is to have predefined facial features and a standardized body type, but offer an increasingly varied set of clothing and accessory options. This is a fantastic question! Technologically speaking, we're seeing a great amount of improvement in the tools we use. Just in the last 5 years or so we've seen the rise of more effective ways of creating cloth, textures, and improved photogrammetry processing. I believe that neural network assisted tools will have a big impact on the future of this craft; not to automate and proceduralize the whole process, but to reduce or remove some of the most tedious and technical aspects of the job, such as manual retopology. However, it is still not as important as being smart and realistic with the scope of your production, and this is why deciding the most effective art style and scope for the project is such a key aspect to any production – especially for AA sized developments. Everybody wants to have uncountable amounts of assets with beautiful animation, but your time and resources – both monetary and manpower – are always limited. So, it's important to come up with a tight scope that won't stretch the production for too long, and an art style that can be pleasing and communicative while being executed with the resources you have available. This is perhaps a vague answer, but I don't think there is just one single way of doing it. If there was, everyone would be doing it already, right? For the majority of assets, I do indeed start with a well-defined high poly mesh, bake it, and then go on to texture it – usually in substance painter. However, it is not always a straightforward process. Some elements are sometimes easier – or more effectively done – in texture rather than modeling them, such as small stitches or crumpled surfaces. I do also usually encourage people to make stuff feel like the material it is supposed to be with the shapes themselves, not just the texture. For example, jeans should fold like denim, not rely only on the colors and texture. So, what's your favorite thing about Vigor? I'd say the overall atmosphere, both because of the great work the environment and level teams are doing, and the tension of other players scavenging and hunting you down. And what's the best part of your job? Hard to choose! But if I had to pick one, it would be the people I have the luck and honor to work with. An excessive amount of unpainted Warhammer 40k figures. Send help. 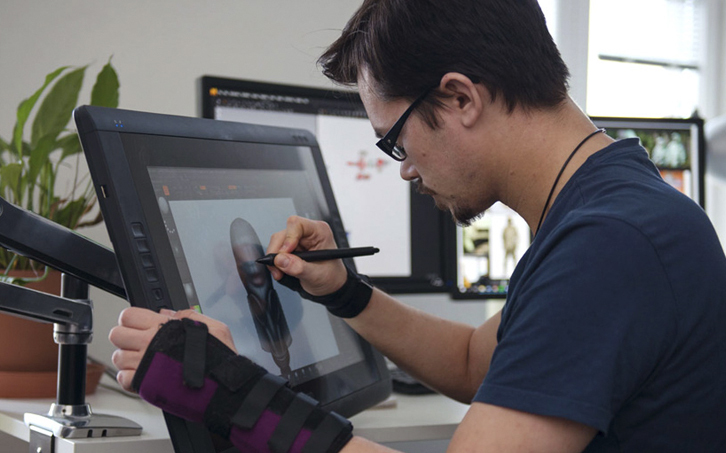 As a Character Artist, if you could work on re-imagining any video game character, who – or what – would it be? I always thought that Tomb Raider would improve a lot if you played as an adult T-Rex. Or almost any game, really, except Mario because they already did it. We need more T-Rex overall.